The South 18th Street corridor, in Columbus, Ohio, traverses the eastern portion of the Nationwide Children’s Hospital campus. Since employee and visitor parking was on the east side of 18th and the hospital was on the west side, pedestrian traffic was heavy crossing this street. Pedestrians struggled to find a large enough gap in major road traffic to safely cross during peak hours and there had been numerous near-hits in the area. 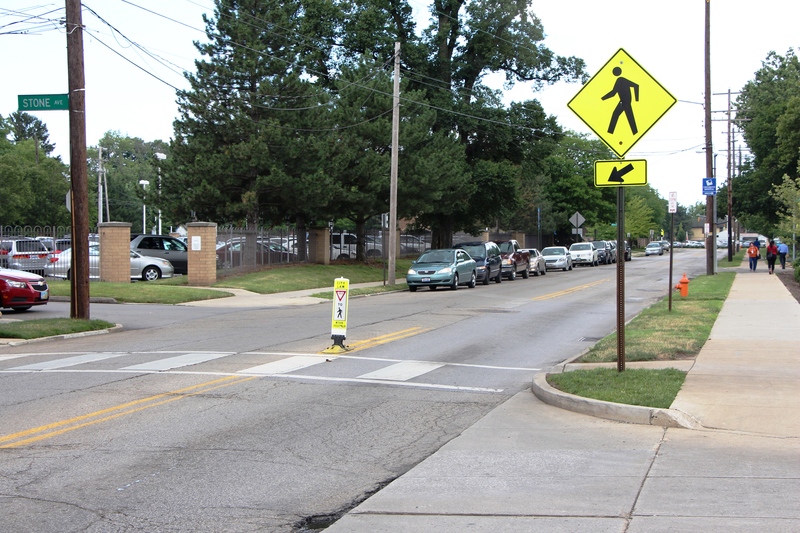 As the hospital was consistently receiving reports of the difficulties in crossing South 18th Street, adminstration officials determined to alleviate these pedestrian safety issues and prevent any potential crashes in the future. The hospital engaged Trans Associates to perform an evaluation of safety issues along the corridor. The study identified possible crossing hazards and proposed several mitigation techniques to improve safety and reduce the possibility of future pedestrian-related crashes along the South 18th Street corridor. Many of these suggested improvements and modifications were incorporated into the City’s plan for widening 18th Street and enhancing the pedestrian systems throughout the corridor.